I have not yet heard the 20.7's but have read several complimentary reviews. Magnepan would definitely agree with you Jack regarding the magic between Maggies & Bryston. Magnepan used to demo their speakers with Bryston. However when Bryston started selling their own speakers the marriage was over. While not 20.7s, I loved the pairing of my Pass X350 and 3.6s, then 3.7s. Eventually, I introduced an electronic crossover (Bryston 10B Sub), and after observing that the bias meter on the front of that monster Pass amp no longer danced, the thought of tubes began to assault me. The only way to exorcise that demon was to purchase a valve amp, so I did. A VAC Phi 300.1 displaced my Pass X350, and the delicate sweetness of those glorious ribbon tweeters revealed an even more enchanting character. Six months later, I put the Pass back on the amp perch for a second comparison (oh, my aching back), then begrudgingly decided to sell the X350 - a beast with gloves of finest satin. Alas, life is an unpredictable series of changes, and the 3.7s now reside in the house, while my treasured VAC rests in its shipping carton in the back of the man cave - having a difficult time bringing myself to sell it, but I need to do just that. The funny thing is that I'm no longer obsessed with assembling a dream system, but simply, and thoroughly, enjoying one comprised of decidedly more pedestrian components. A pair of Polk SDA SRS driven by anything 150 WPC+ without distrotion. 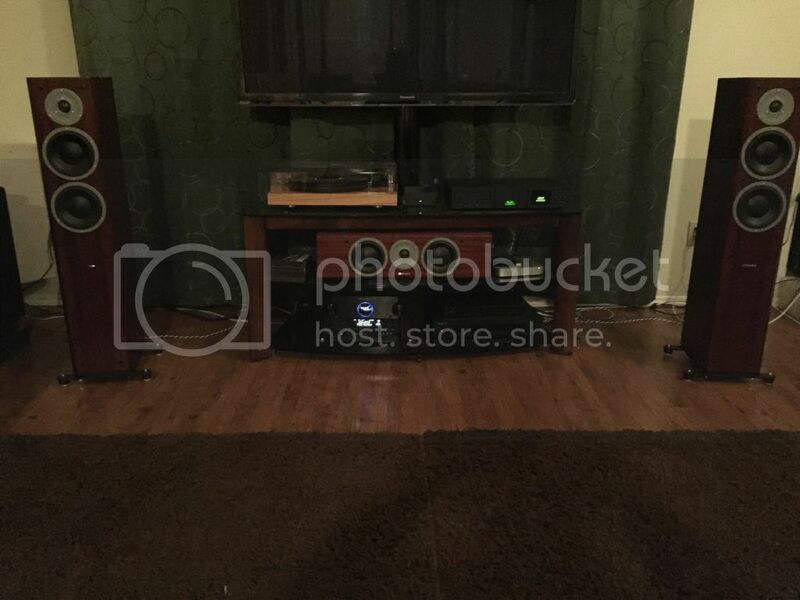 SCM50ASL Pro (Still big for Uk and even bigger in my home) active so no amps need !! Bricasti M1USB Stereo DAC DA Converter (silly money but the nuts) would happy compromise weiss Dac or even cranesong hedd or apogee Symphony to save 10k $ !!!! PS And if really good santa can I have studer or Revox real to real just because they look so cool !!! Last edited by emearg; 01-06-16 at 01:57 PM. No need to treat every inch. Just every other inch. Stay to a max of 50% treatment and you'll be fine. Our ears need it. Too much and it's eh. Ive owned your Dream System before - not bad at all!!!!! Gone need bigger house !! The amp and speakers are an easy one for me. Not 100% sure on the source yet.